The classic example of seasonal fruit. 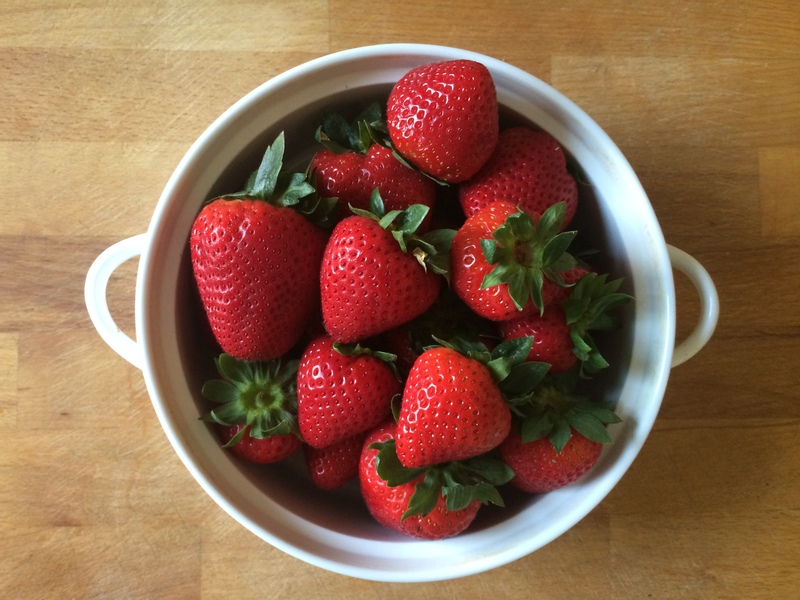 When strawberries are in season, I can not resist. I say hello to these beauties during May and June when they’re plump, sweet, and juicy. Then, I say goodbye until the following Spring. Simply delicious this time of year. Yup, I’m a strawberry snob and proud of it. 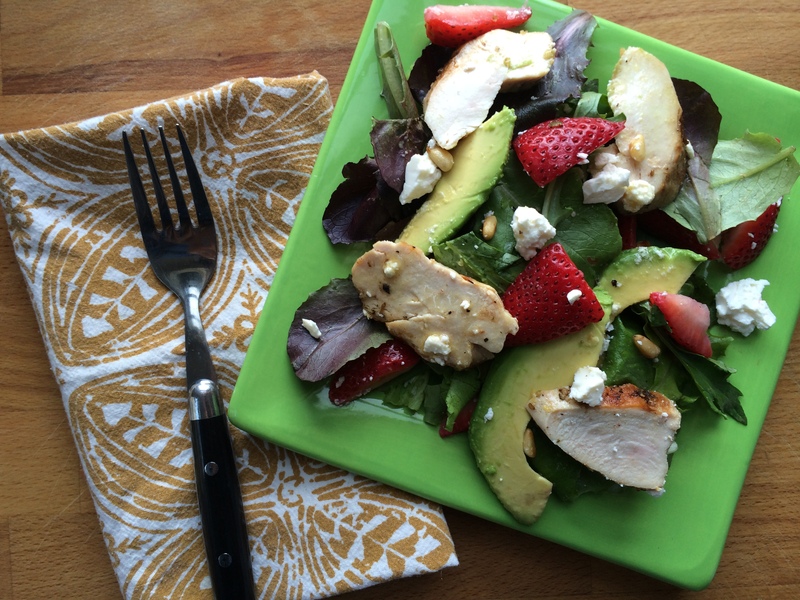 Perfectly ripe strawberries make a tasty and beautiful addition to a salad. Here’s the perfect example. When the temperature outside rises, I lack the motivation to stay inside and turn on my oven. However, I gain plenty of motivation to head outdoors for grilling and salads. I incorporate the grilling aspect of warm weather, with my love of seasonal fruit in this beauty. 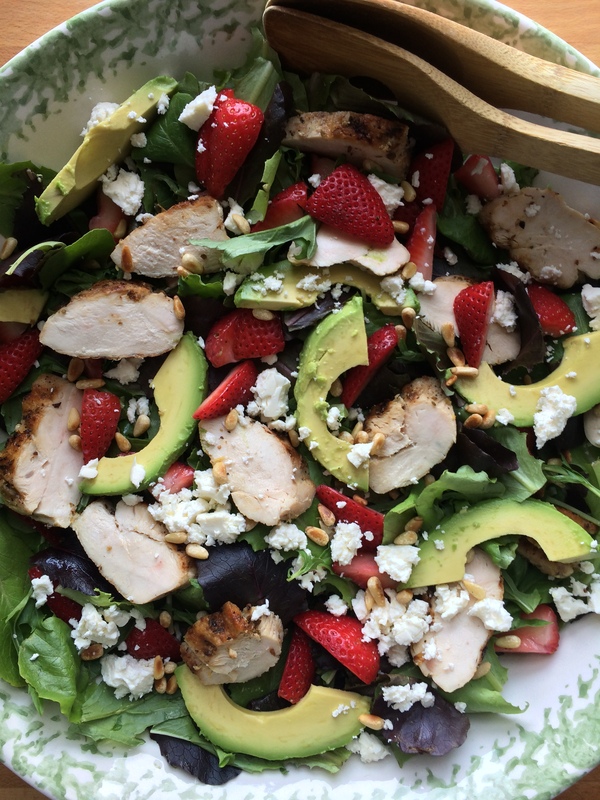 Garlicky-lemony-juicy grilled chicken, spring greens, strawberries, avocado, feta, toasted pine nuts … all tossed together with a homemade vinaigrette consisting of apple cider vinegar, Dijon, and honey. Fire up your grill. 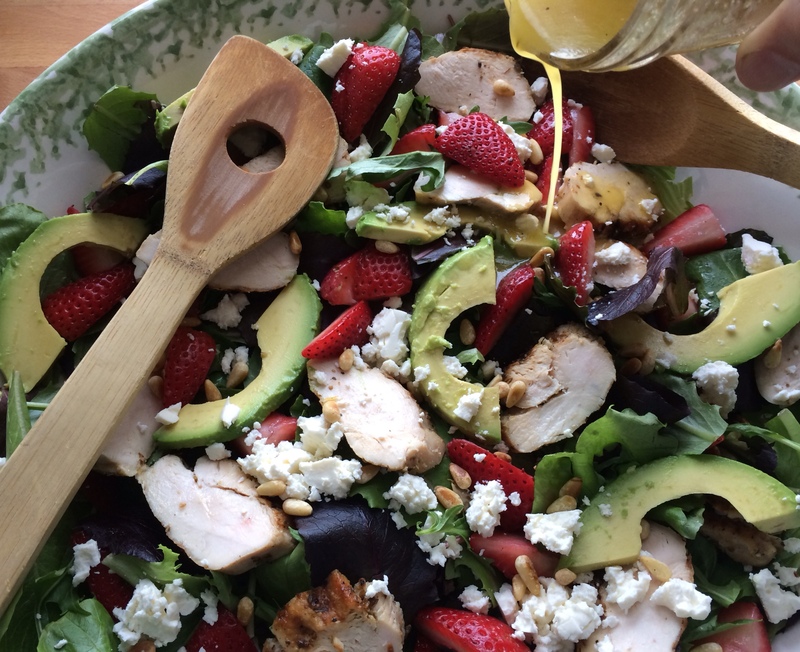 Throw together a salad that gives proper respect to the seasonal strawberries. 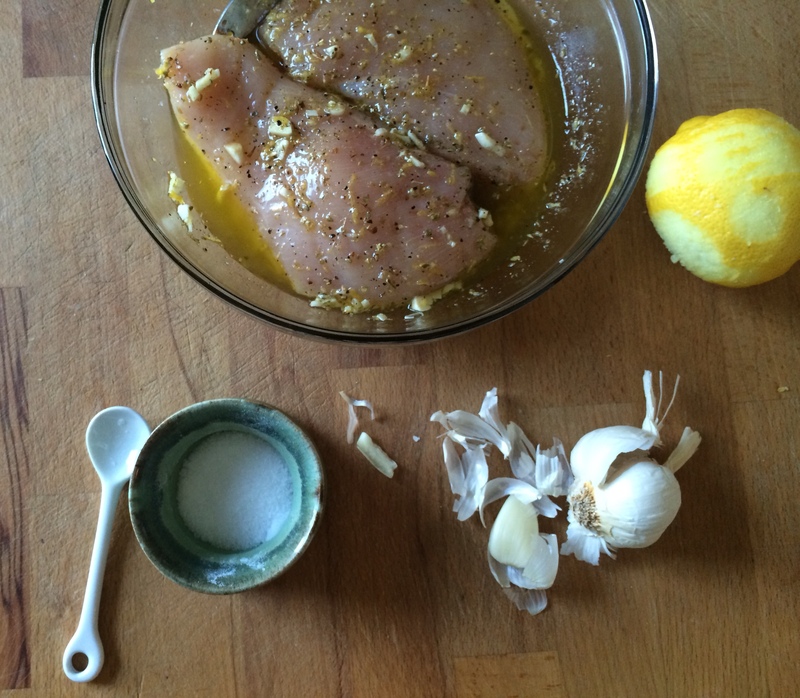 In a medium size bowl, combine olive oil, Italian seasoning, lemon zest, garlic, salt, and pepper. Mix to combine and add chicken. Cover bowl and allow chicken to marinate in the refrigerator for at least 1 hour, or up to overnight. Remove chicken from the refrigerator 20 minutes before you plan to cook it. 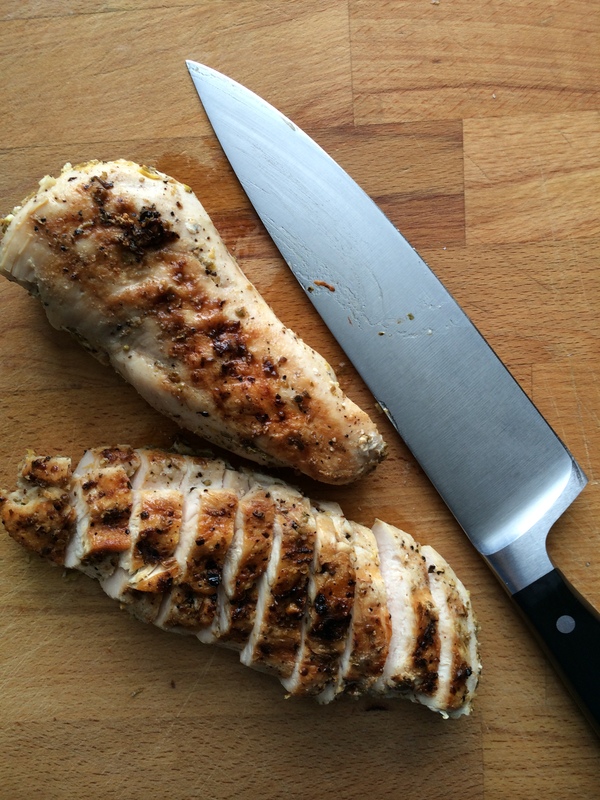 Heat grill to medium-high and grill chicken for 5-8 minutes per side, or until cooked through and no longer pink. (Note: The 5-8 minute cook time is for larger chicken breasts. If you are cooking thin chicken breasts, cook for 3-4 minutes per side.) 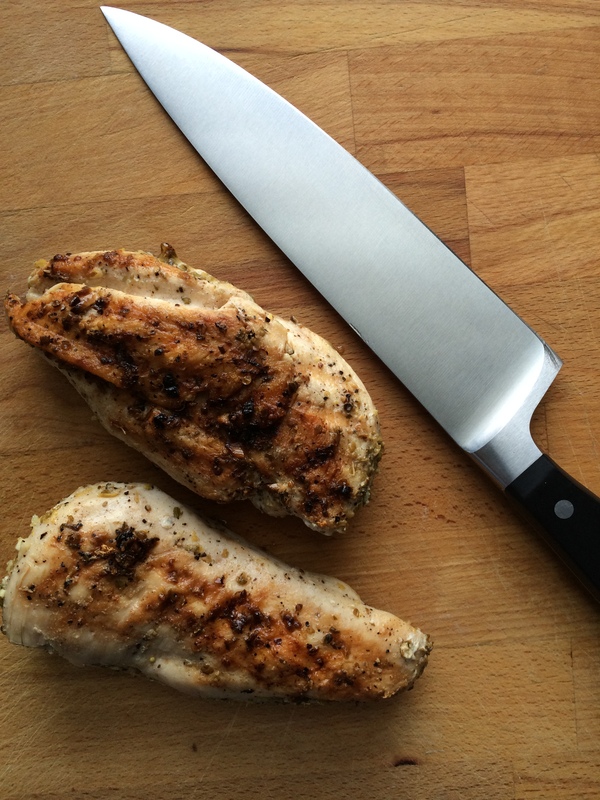 Allow chicken to rest for 5 minutes before slicing. Slice chicken into thin strips and reserve. Add salad dressing ingredients to a small mason jar. Secure lid and shake to combine. Alternatively add ingredients to a bowl and whisk to combine. 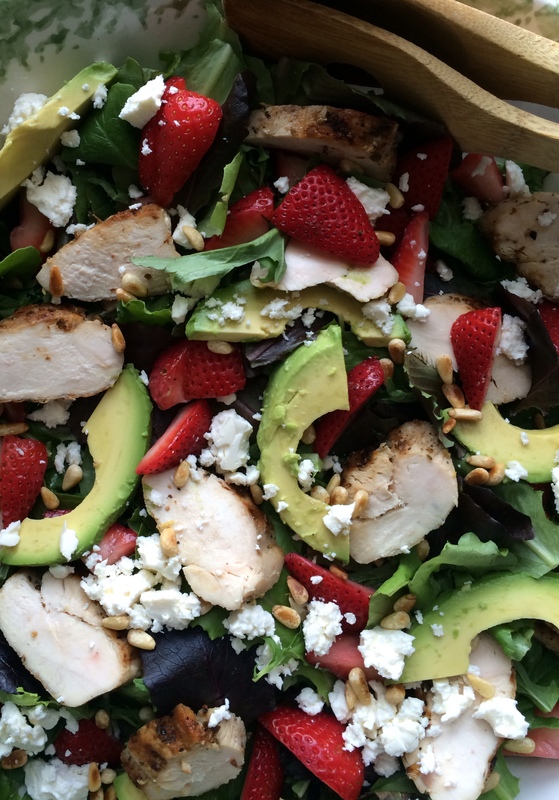 In a large bowl, layer spring greens, chicken, avocado, strawberries, feta cheese, and pine nuts. Top with salad dressing, toss, and serve. Note: The strawberries in this post were gifted to me from Driscoll’s. Thank you for the gorgeous little beauties!